“A man (or woman) who is trained to his capacity will gain confidence. Confidence is contagious and so is lack of confidence -- and a customer will recognize both.” This is a great quote for sales managers from Vince Lombardi, one of the greatest football coaches of all time. Often when sales managers sign up for a leadership role, they lack the skills for a major responsibility -- teaching and transferring the knowledge that made them successful. Sales managers have attended plenty of sales training workshops, but few, if any, teach them how to train and coach their teams to the next level. As a result, sales managers often make two common mistakes as they seek to develop their team's selling skills. The outcome is frustration and stagnant growth. Mistake #1: Not understanding the difference between training and coaching. 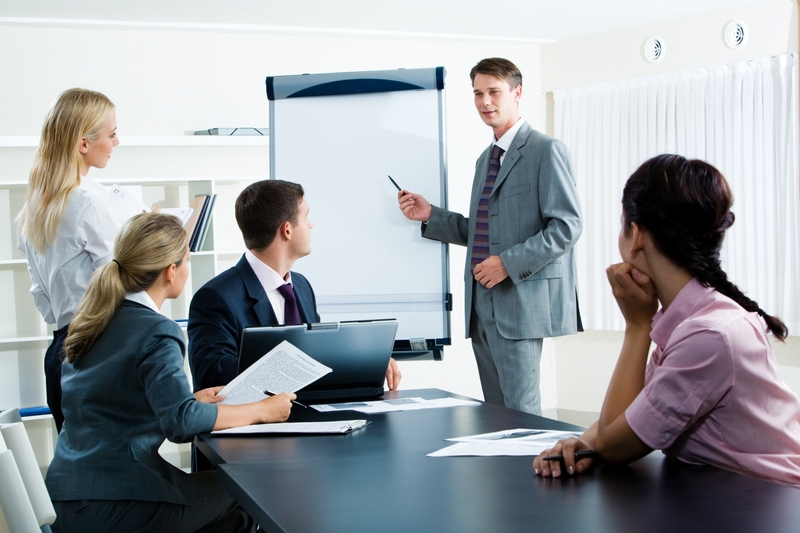 Training is imparting knowledge, and making sure your team knows what to do and how to do it. Coaching is making sure the information has landed, is understood and can be applied. These are two different skills to be applied at different times and coaching situations in order to improve a salesperson’s performance. This is also where the soft skills of self-awareness and reality testing are important. Did you forget to ask the question during the sales conversation or were you uncomfortable asking it? Is your assumption that the prospect will respond negatively to these questions based on perception or data? What’s your biggest worry about________________________? Know when to train and when to coach. Work on the right end of the performance challenge. Mistake #2: Heli-skiing training. I live in Denver, Colorado, where skiing is a major activity. When I learned to ski, my instructors slowly elevated my learning, skills and hills. We started with the bunny slope, progressed to the green ones, then the blue slopes. If you mastered these skills and hills, you were ready for black-diamond skiing. And once you mastered them, you were ready for heli-skiing. Sales managers often make the mistake of taking their team heli-skiing when it isn’t ready. They teach a sales concept once or twice, and assume the salesperson gets it. Then they teach a more difficult selling skill and the salesperson struggles because she never mastered the blue hills of selling; she is still on the greens. Sales managers, apply your delayed-gratification skills, and put in the work of role playing and drill skills to make sure your team has mastered the fundamentals. Without such mastery, they can’t learn and execute more difficult selling skills. Once the team has mastered the fundamentals, introduce more difficult skills such as handling objections that occur right at the start of a phone call. Model great ski instructors and determine which slopes and skills your sales team needs to master before introducing black-diamond selling skills. Great sales managers are great teachers and coaches. Elevate your skills and you will raise your team’s sales results. Join Colleen at SalesLeadership's next Ei Sales Management® Workshop and elevate your skills. Learn two of the most important sales management skills that will help you build a high performance team.